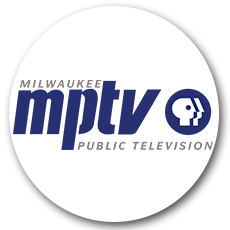 Milwaukee Public Television (MPTV) is southeastern Wisconsin’s premier noncommercial media organization. Beginning in 1957 with its first TV station, WMVS, the MPTV family has grown to include nine 24-hour digital TV services, including high definition (HD), documentary, music, weather, and Spanish language channels; state-of- the-art HD production facilities ; the popular mptv.org website and MPTV Mobile; the monthly magazine Fine Tuning; and an A.A.S. degree program in television and video production through its co-located licensee, Milwaukee Area Technical College. Each week, PBA30, Atlanta’s PBS Station, brings informational, educational and cultural television programming into the homes of hundreds of thou­ sands of viewers in the Atlanta metropolitan area. PBA30 otters a wide vari­ety of Intelligent TV(SM) from PBS, BBC, APT and NETA, as well as local PBA30 productions that are not available via commercial television stations. 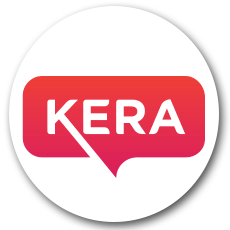 PBA30 is a service of Public Broadcasting Atlanta (PBA) that works tireless­ly to provide programming worthy of the community’s support. 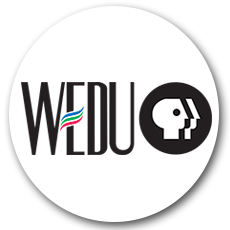 WEDU PBS is West Central Florida’s primary PBS station and public media company reaching 16 counties through media platforms including on-air programming and online experiences that broaden horizons, transport and transform and open gateways to new ideas and new worlds. Financially sup­ ported by the community, the organization otters a wealth of award-winning educational, inspirational and enlightening content over a variety of multi­ media platforms including: television programming, station website wedu.org and various social media platforms. 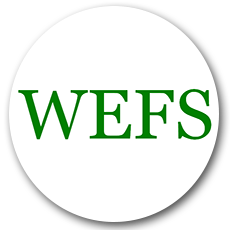 Owned and operated by Eastern Florida State College, WEFS’ four channels offer programming that educates, enlightens and inspires. WEFS is an inde­pendent public television station broadcasting a wide range of programming to an audience that stretches throughout Central Florida. We endeavor to be a vital community resource, empowering people to discover their world, broaden their horizons and become active participants in shaping the future. WFSU provides two television broadcast stations (WFSU and WFSG), one cable television station (4FSU), one statewide satellite television service (The Florida Channel), four FM broadcast stations (WFSU, WFSQ, WFSW, and WFSL), and Internet webcasting services. WFSU is a member of both PBS and NPR national networks. Additionally, WFSU provides community out­ reach and educational services. Examples include Raising Readers and the American Graduate project. WILL-TV, part of Illinois Public Media at the University of Illinois, blends a core of PBS programming with locally produced documentaries and series such as “Illinois Pioneers” and “Mid-American Gardener” that focus on central Illinois. For more information, visit http://www.will.illinois.edu. WJCT is the community supported public broadcasting station serving the First Coast since 1958, using its platforms of on-air, online and outreach as universally accessible resources for citizens to learn, share and grow as a community. WJCT operates four unique TV channels, three radio channels and three websites. WJCT serves approximately 265,000 households and 105,000 listeners per week. The principal broadcast coverage area is the five counties that make up northeast Florida, reaching over 1.3 million citizens. 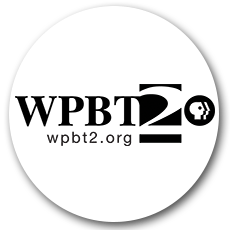 South Florida’s premier public broadcaster, WPBT2, is a community­ licensed, not-for-profit media enterprise serving communities from the Treasure Coast to the Florida Keys. WPBT2 provides high quality content from PBS, independent acquisitions and its own original productions. WPBT2’s digital media platform offers: 2HD, a 24-hour high definition channel; Digital 2.2 Create, a cooking, arts &amp; crafts, gardening, home improvement, and travel channel; World, a nonfiction documentary, science­ and news channel; Digital2.3, V-me, and www.wpbt2.org. WTTW, based in Chicago, is a premier public media organization committed to creating and presenting unique television and digital media content across four distinct television channels, and on wttw.com. Recognized for its award-winning local and national productions, WTTW presents the very best in cultural, nature, science, public affairs, and children’s programming to almost 2 million weekly viewers across a four-state area. WUCF “TV serves nearly 4 million Central Floridians across nine counties. Li­ censed to the University of Central Florida, WUCF TV provides four program services, including channel 24.1, WUCF TV’s main PBS programming chan­nel; WUCF Create 24.2; WUCF World 24.3; and Spanish-language WUCF V­ me 24.4. Learn more at http://wucftv.org. The DCA Broadcast Operations Service is a service of the Digital Convergence Alliance.